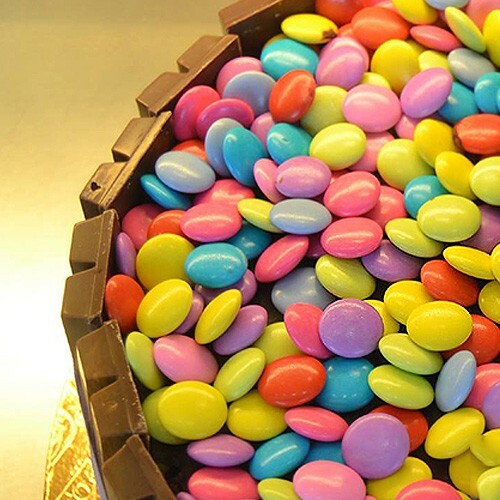 This chocolate sponge cake brings you a colorful and tasty treat in one! 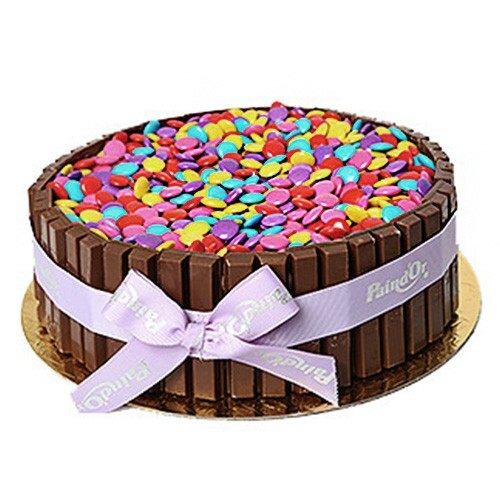 Covered in fudge cream, surrounded with kitkat and topped with brightly colored smarties chocolate, this cake is surely out of the ordinary! Order this delicious dessert for any occasion and have it delivered to anyone anywhere in Lebanon including yourself.